If you're anything like me, and despite all the very helpful technology out there, you suddenly find that you're inundated with old calendars at this time of year. Instead of starting the new year with an 'out with the old, in with the new,' mentality, why not try, 'old becomes new,'? 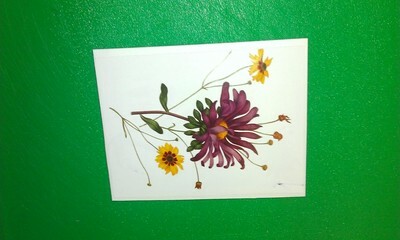 Here's the first of a few ideas of how to transform those unwanted calendars into something lovely. Select a nice picture from the calendar and cut it to size. 10.5cm x 13.5cm is a nice size for little hands. Cut the card slightly bigger than the picture. We went for 11cm x 14cm but you can choose a wider boarder if you prefer or no boarder at all. 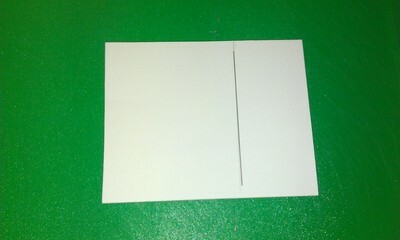 Measure half way across the card and then add 2cm and mark. Draw a vertical line in pencil at this point. On the larger, left hand, side rule lines in pencil 1cm apart. On the other side rule lines that are staggered with the first lines. Go over all lines in black pen. 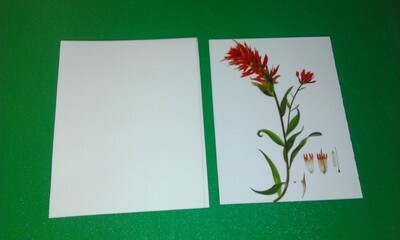 Flip the card over and stick the picture onto the card. 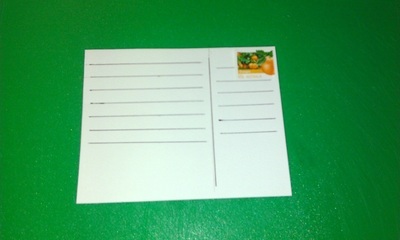 Add a stamp, write your message and address and drop it in a post box.